It’s never been easier to stash more cash. It’s never been easier to become the boss of your bank accounts and to stash more cash. How it works: Your Lyft driver isn't the only one who deserves a little reward for a job well done. 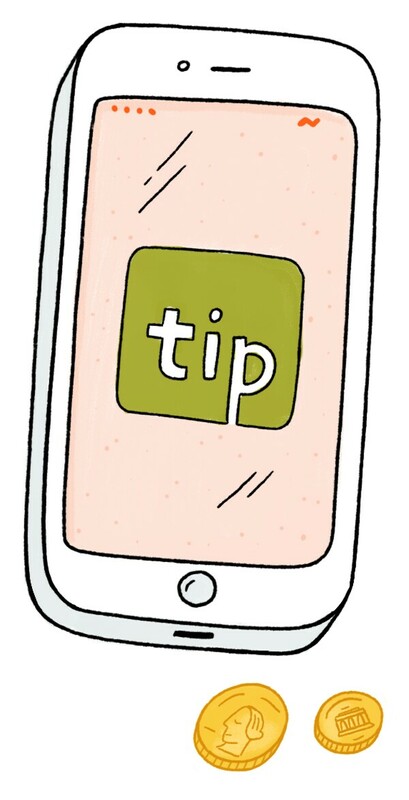 Tip Yourself lets you transfer small amounts from your checking account into a secure virtual “tip jar” that you can use to save toward any goal—an anniversary trip, a chic outfit for your high school reunion, or simply a rainy day. Link it to a good behavior, like tipping yourself $1 every time you set your alarm for a morning run, and you’ll get twice the benefit. Withdraw your funds—without paying a fee—anytime. How it works: Digit takes the work—heck, even the mental math—out of saving. Connect the app to your checking account, and it will regularly siphon off a few dollars here and there into a separate savings account. (Don’t worry: Digit analyzes your income and spending habits before moving money and offers a no-overdraft guarantee.) Since Digit isn’t a bank, you won’t earn interest, but you will earn a “savings bonus” every three months based on your average balance. And just send a text message to transfer funds back to your checking account at any time. How it works: Acorns rounds up your debit or credit card purchases to the nearest dollar, squirreling away that spare change into a diversified portfolio of stocks and bonds. (Buying $51.69 worth of groceries? Acorns will transfer 31 cents to your investment account.) Based on your goals, Acorns recommends investments that range from conservative to aggressive. You can also add extra money whenever you want—or withdraw it. You’ll get charged a monthly fee of $1 for accounts with a balance under $5,000 and .25 percent per year for accounts with balances higher than $5,000.